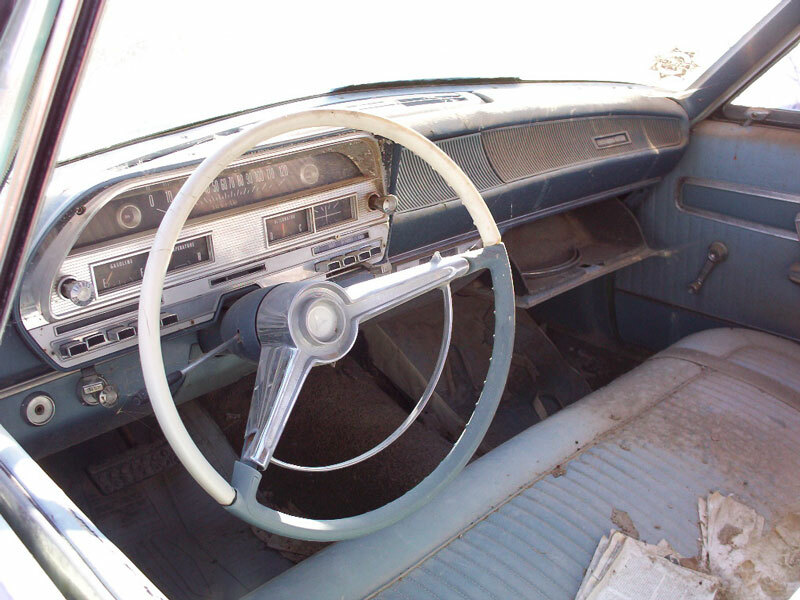 This light blue 1963 Dodge 440 Series Model TD2M 9 passenger station wagon is a mostly complete classic family car ready to be restored or customized. 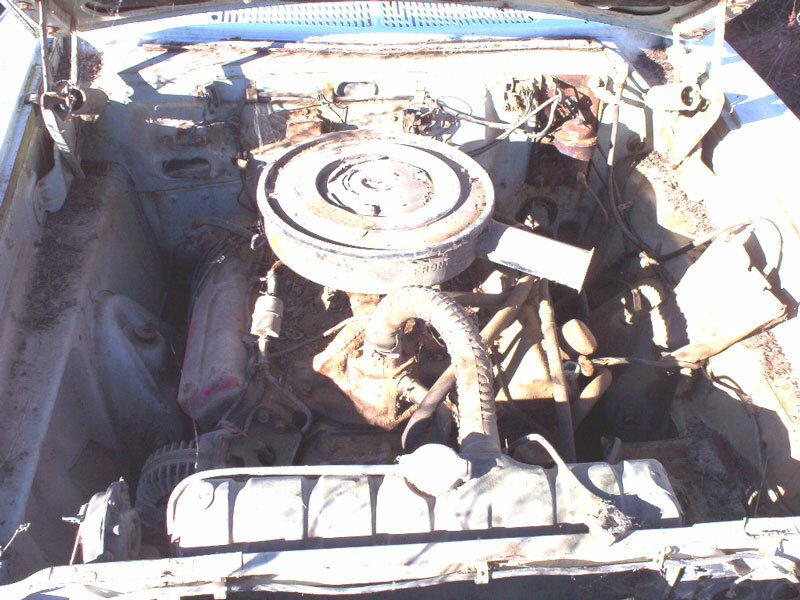 The body has solid and dry western desert sheet metal except this is a little rust around the left rear wheel well. There are drilled started repair areas in the right quarter panel around the wheel well, right rear door, tail of the left quarter panel, left front fender tail and left rocker. The edge of the right rear wheel well is damaged. The rear tail gate handle and gas cap are missing. The rear light lenses are missing. The windshield is cracked but the rest of the glass including the rear curved glass are good. The headlight trim rings are missing and the hood ornament is broken off. The grill looks ok but may have some minor dents. The front splash pan under the front bumper is dented. The blue interior is very complete. The dash and gauges are all there, including the stock radio. The headliner is gone. The floors look solid but they have not been completely inspected. The rear back-facing seat is there and is folded down. The floor and spare well were not inspected because the rear door handle is missing and the window cannot be rolled down to open the door. The car has power steering. The optional 361 CID OHV 265 HP 2V V-8 motor and three speed push button control automatic transmission are very complete. Nothing has been taken off the motor and it looks like a runner. However, the actual running and driving condition is unknown. 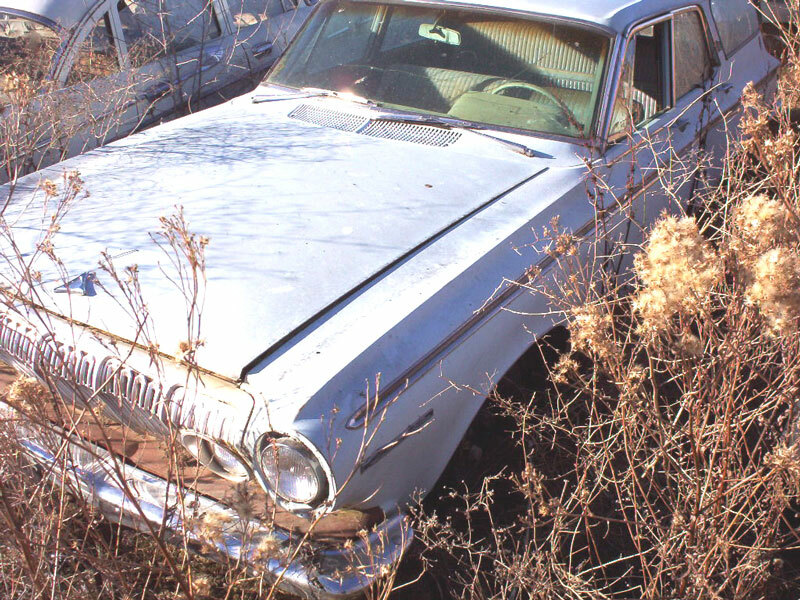 Here is your opportunity to restore or customize a desirable and hard-to-find 63 Dodge 440 nine passenger family wagon. 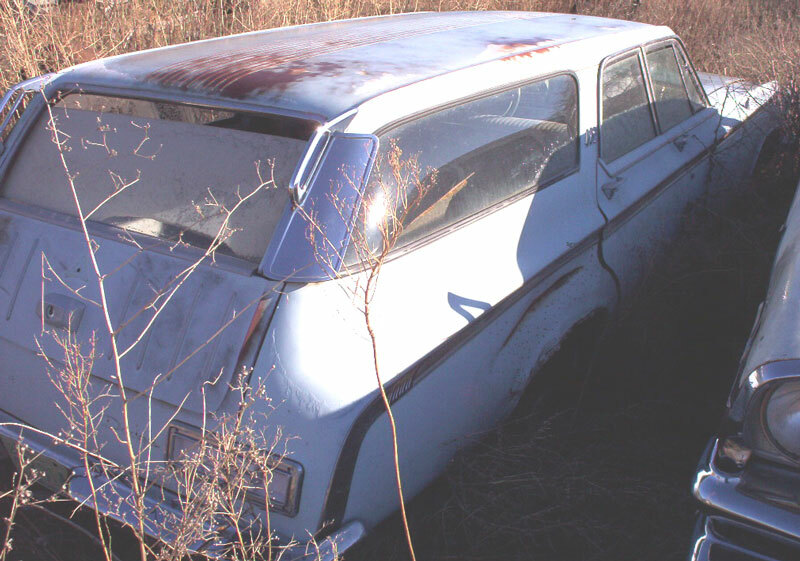 Please call (406) 318-0270l for details about this restorable 63 Dodge wagon classic project car.